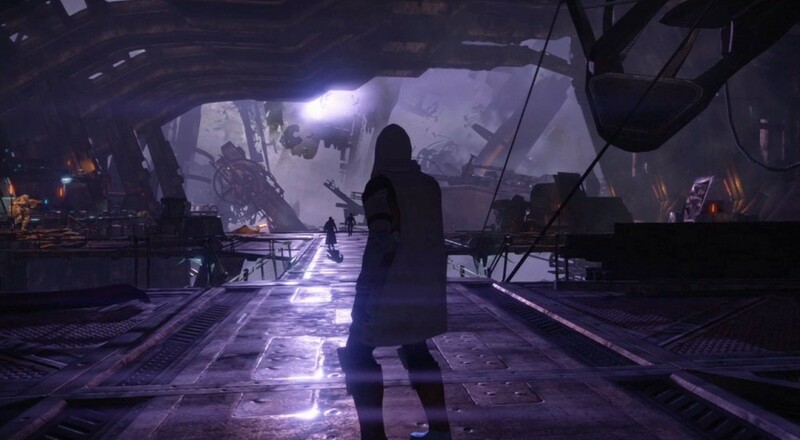 There were images that went around recently for Destiny showing off some potential new weapons and locations when the next piece of DLC, House of Wolves, arrives in the next few months. The person responsible for that, reddit user Megamanexe64, has done some more digging and found even more info, including a "Reef Social Space." The video below, from Arekkz Gaming, goes through the new screens dug up by the reddit user and adds a little context for some of them. The biggest feature highlighted is the "Reef Social Space," something that was seemingly teased in one of the earlier trailers for the game. It's possible this new area will offer new vendors and gear for players as well as act as a new mission hub. Much of this info came from the database that got installed with the recent 1.1.1 update, which fixed the heavy ammo bug and added matchmaking for the Weekly Heroic Strike. All of this is subject to change, of course, so don't necessarily get too attached to what you're seeing. No news about when House of Wolves will be coming for sure. Here's hoping Bungie does something good with it as the big gap between DLC releases tends to lead to a drop in player base.